YOUR DEMOCRACY IN EUROPE: Trump to UK: "Don't Brexit, SUE the EU!" How? Where? Trump to UK: "Don't Brexit, SUE the EU!" How? Where? President Trump told UK Prime Minister Theresa May that the UK should sue the European Union rather than exit it. Mrs May said this was a too “brutal” solution. Why? It would disrupt Westminister as well as Brussels. Sue the European Union for what? One obvious case would be to attack in law the Spitzenkandidat system — that elected Jean-Claude Juncker. It makes it impossible for a Briton to ever be elected to his post of President of the European Commission. It is directly in opposition not only to human rights and elementary democracy but the treaties the politicians wrote themselves. There are several other such issues of injustice and fraud. Why go to Court? To get Justice. To expose facts to public view. To let not only the judges judge, but the people too. What other cases should be introduced to Europe’s highest courts? 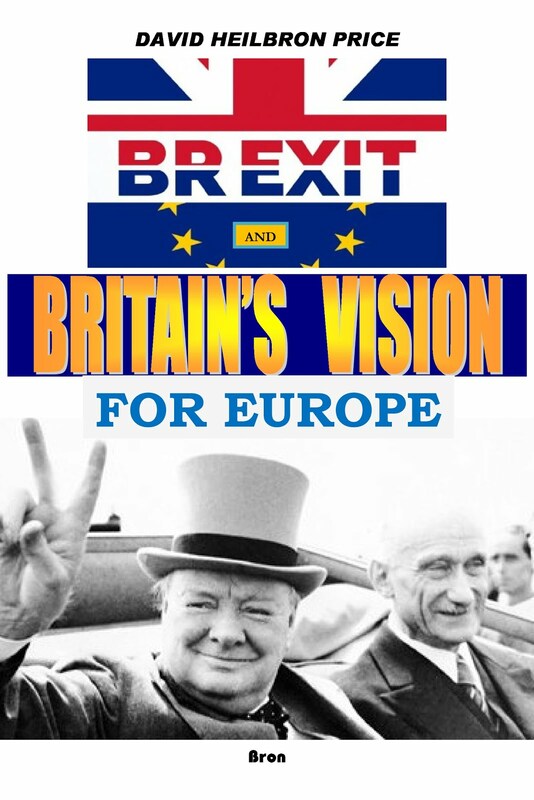 That is explained fully in my eBook “Don’t Brexit, Fix it!” Five copies of the full paper version under the title “Brexit and Britain’s Vision for Europe” were sent to Mrs May and Brexit ministers at 10 Downing Street in late summer 2016, just after the Referendum. What is the case against the EU? Corruption arising from its democratic deficit. I have described at length how Robert Schuman, the initiator of Europe’s Democracy, defined the mechanism of true democracy and justice. All sectors of society involved must have their say. No political decision can be made by faceless bureaucrats. No decision can be made in secret. WHAT IS PRESIDENT TRUMP FIGHTING? CORRUPTION! And far more than party political corruption. How does it affect our systems on both sides of the Atlantic? For that we need to go back to the origin of corruption in the party political system. That involves the “completely unscrupulous and political ingenious” scheme presented to King William of Orange after the “Glorious Revolution” in England. It dates from 1695 and was the brainchild of Robert Spencer, Earl of Sunderland. Spencer (a forbear of Lady Di) suggested that he follow this “devilishly subtle” plan. Instead of choosing his ministers on their merits and capacities without regard to parties, a Whig here and a Tory there, King William III should chose his ministers from the same party. William expostulated that this was a mad idea. The majority was then Whig and hardly sympathetic to strong centralism. Spencer explained about the subtle governance potential of alternance of government. “If his Majesty adopts this plan, no member of the House of Commons will ever vote again according to his principles or his convictions or his judgment or his religion or any other of his fancies.” The people will think he is voting for them but the real question will be whether or not his party will remain in office or how much it would cost him in a further election with the risk of losing his seat. And, said Spencer, the parties will be so much involved in fighting each other that there will never be another Cromwell or a Revolution. His royal power would be secure. Quotes above are taken from George Bernard Shaw’s “Everybody’s Political What’s What” chap 3. In the US system we can replace the concept of “King” not by President but by the Shadow Government and what in the 1950s President Eisenhower originally called the “Military Industrial Congressional Complex“. I highly recommend for those interested to sit down with a cup of tea or coffee for an hour or so for the incisive analysis of the Kevin M Shipp, ex-CIA insider. This presentation was at a Tea Party meeting recently. It summarises a huge amount of facts and research on the misuse of secret powers up to this day. It starts at 15 minutes after prayers and pledge to the flag.